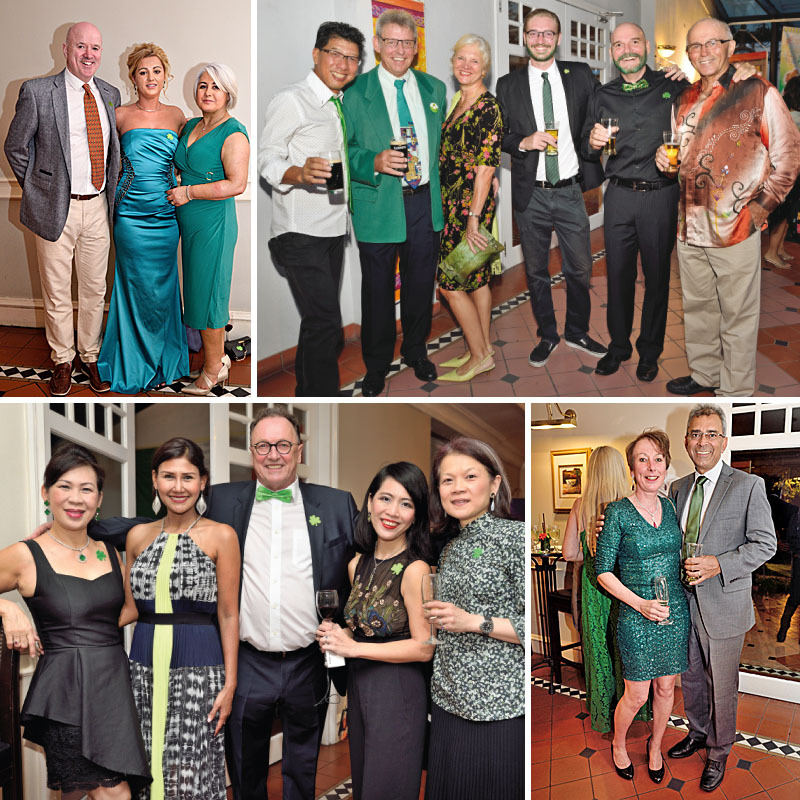 Fast-forward to 2018, excitement building as I anticipated the Penang St. Patrick’s Gala Ball! 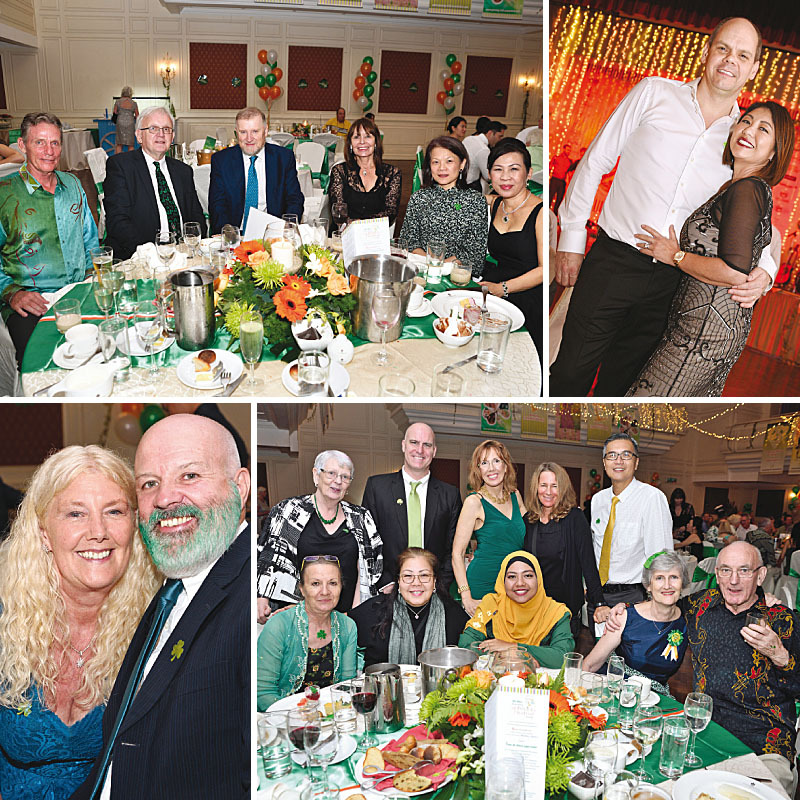 Months of preparation, commitment and hard work by the PIA team culminated in a hugely successful St. Patrick’s Festival and the Gala Ball as a major highlight. 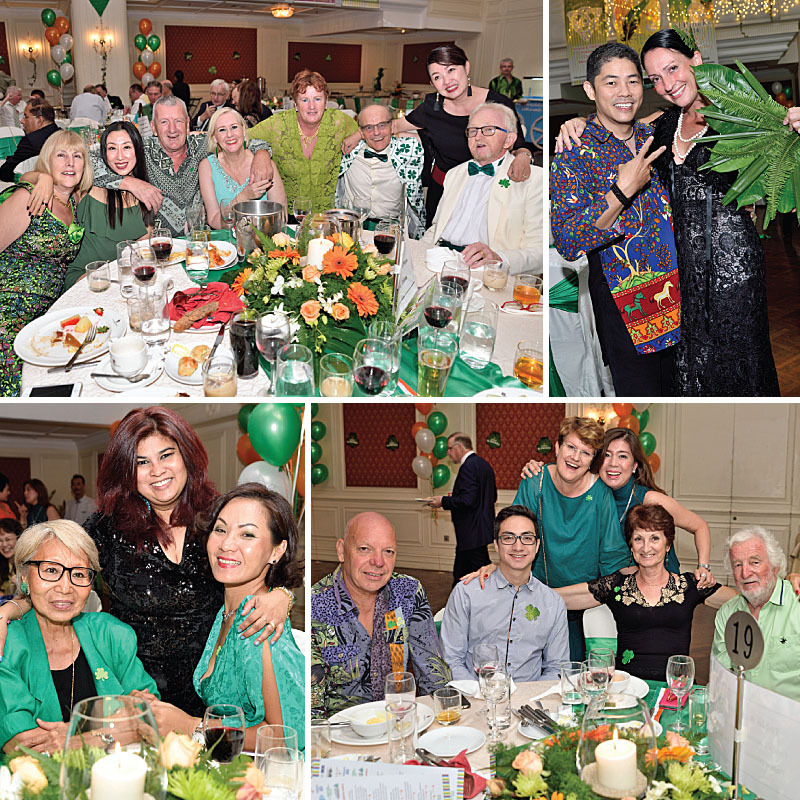 The perfect setting for the occasion was the magnificent Eastern and Oriental Hotel in George Town, which was a kaleidoscope of vibrant greens on the night. 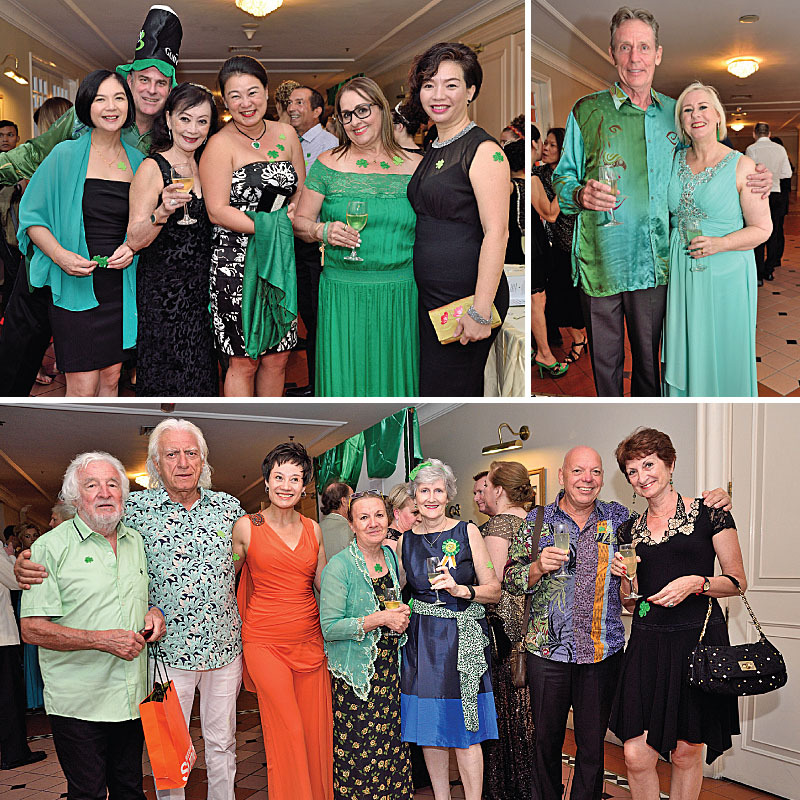 There were gorgeous ‘gunas’ (dresses), vivid bow ties, sassy feather boas, shamrocks, our national emblem in abundance, striking green beards (!) 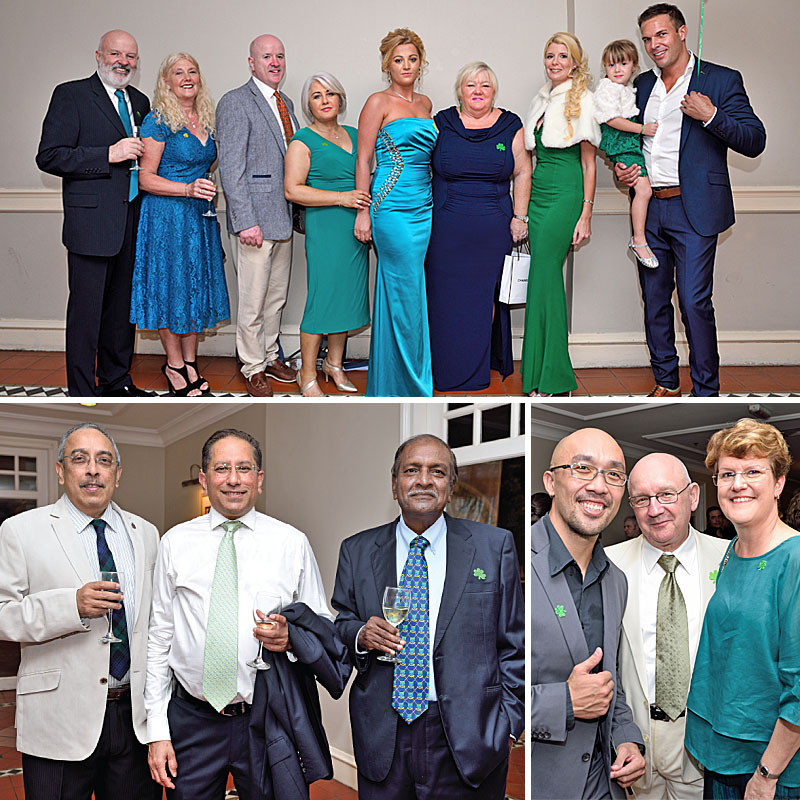 and even a visiting Irish “Minister” sporting long green hair! 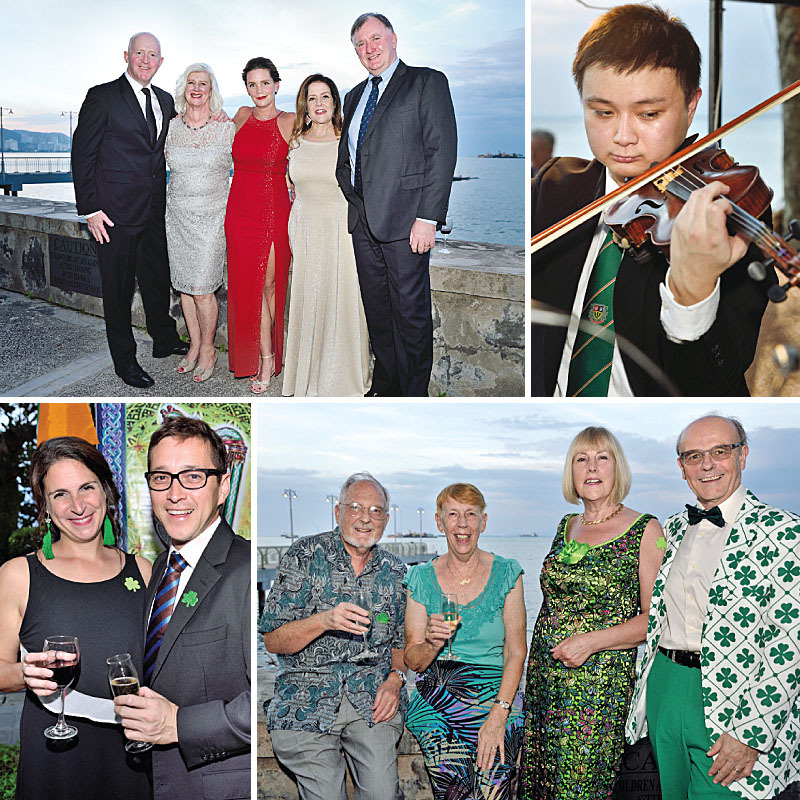 President of the PIA, Maggie T. welcomed us; Drew Phillips raised a toast to St. Patrick and to our Irish heritage. 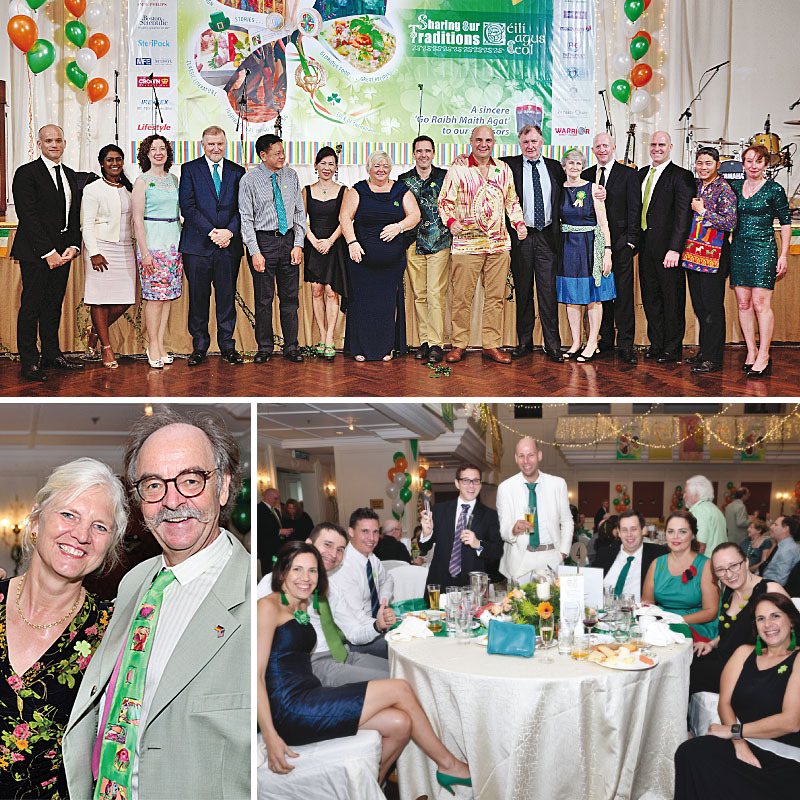 Drew introduced the Irish Ambassador to Malaysia, Mr. Eamon Hickey. 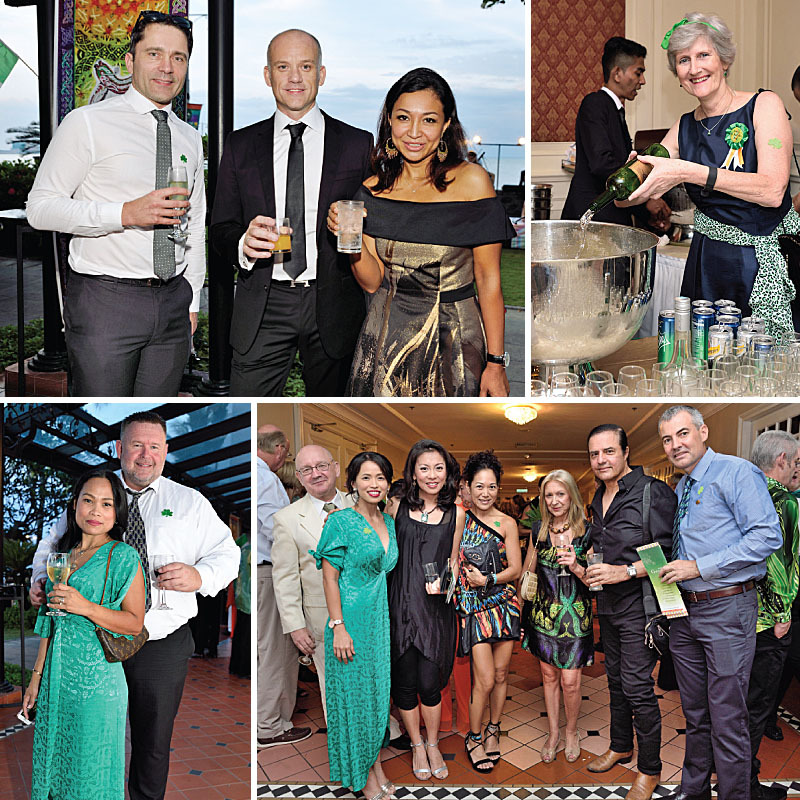 He made us aware of the many connections between Ireland and Malaysia, both in education and in the business world. Sinead Ahlstrand Pedersen recited grace before meals ‘as Gaeilge’ (in Irish), after which we were treated to a sumptuous Irish banquet of smoked salmon, brown bread, braised beef, Irish lamb stew, colcannon, roast vegetables, Irish whiskey bread and butter pudding, washed down with Guinness and followed by Baileys and Irish whiskey. Simply delicious! 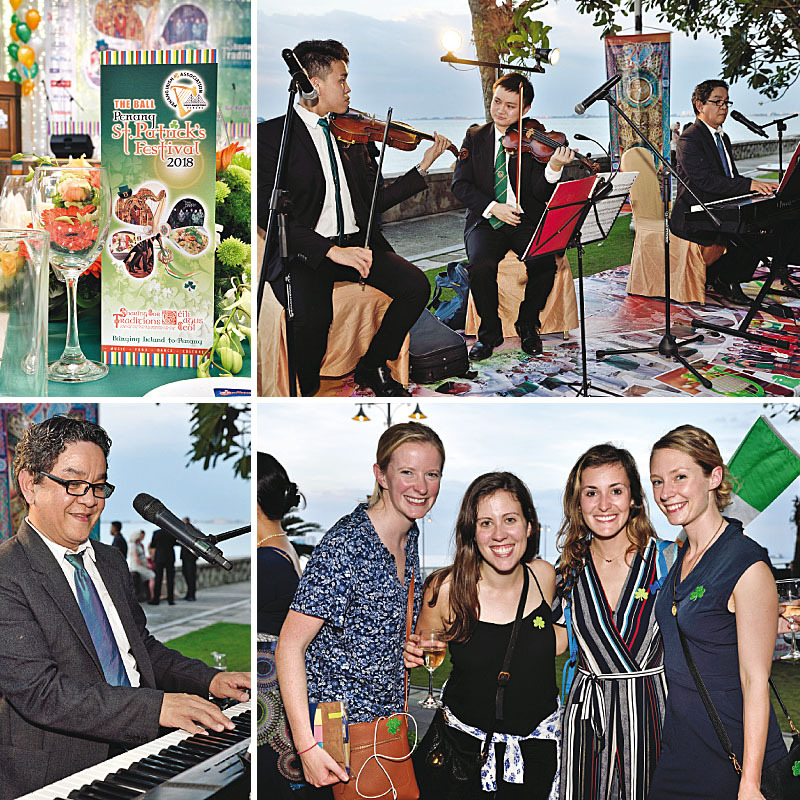 Entertainment was lively and fun-filled throughout the evening. 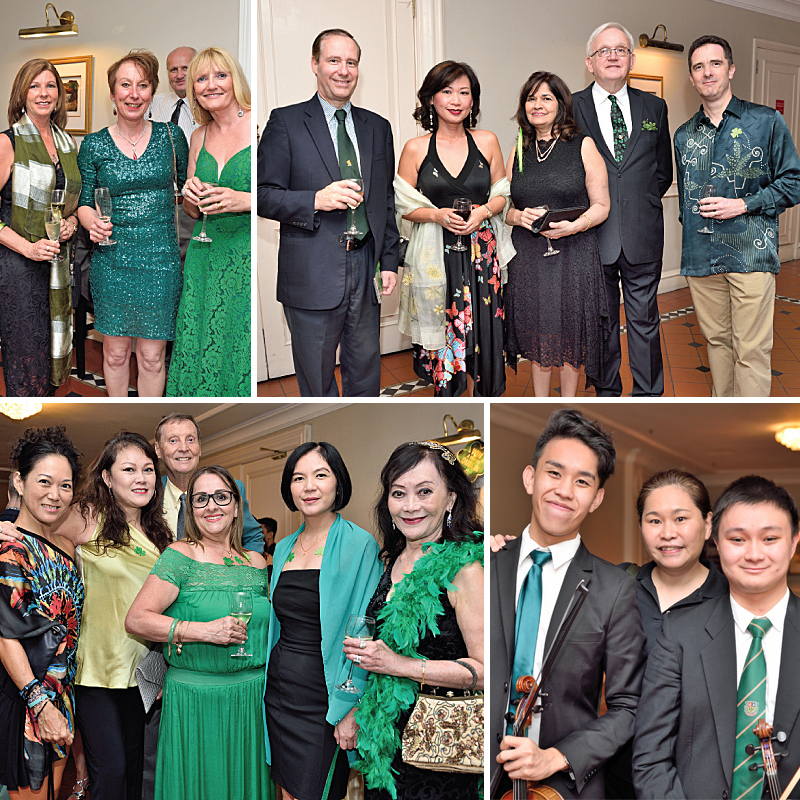 On arrival we enjoyed a beautiful rendition of traditional Irish music by De Leon Jazz Experience. 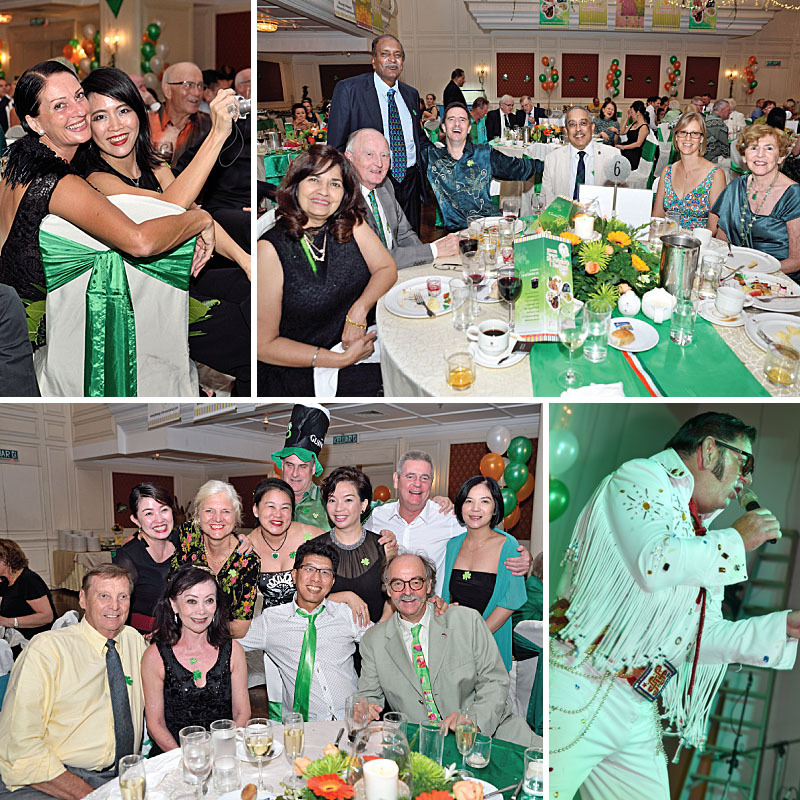 This was followed by ‘Elvis’ – Greg Traynor, who performed everyone’s favourite Elvis number, filling the dance floor with revellers, who danced the night away. 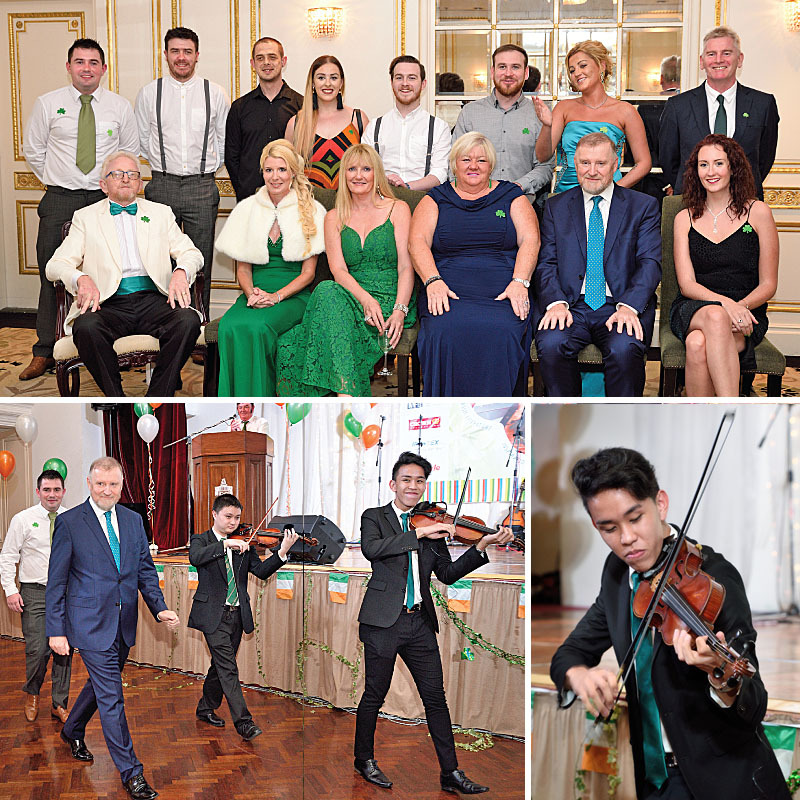 We got into the spirit of Céilí dancing with traditional dances – The Walls of Limerick and The Siege of Ennis – to the dynamic music of Newfoundland, a traditional and contemporary Irish folk band. 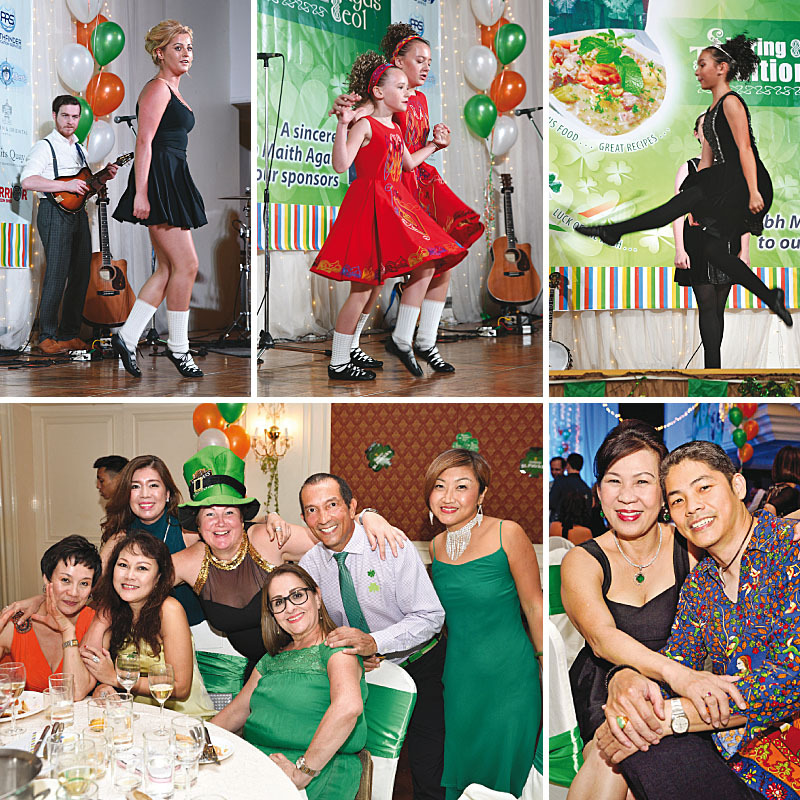 Inspirational Irish Dancers from Singapore gave a high-spirited performance. 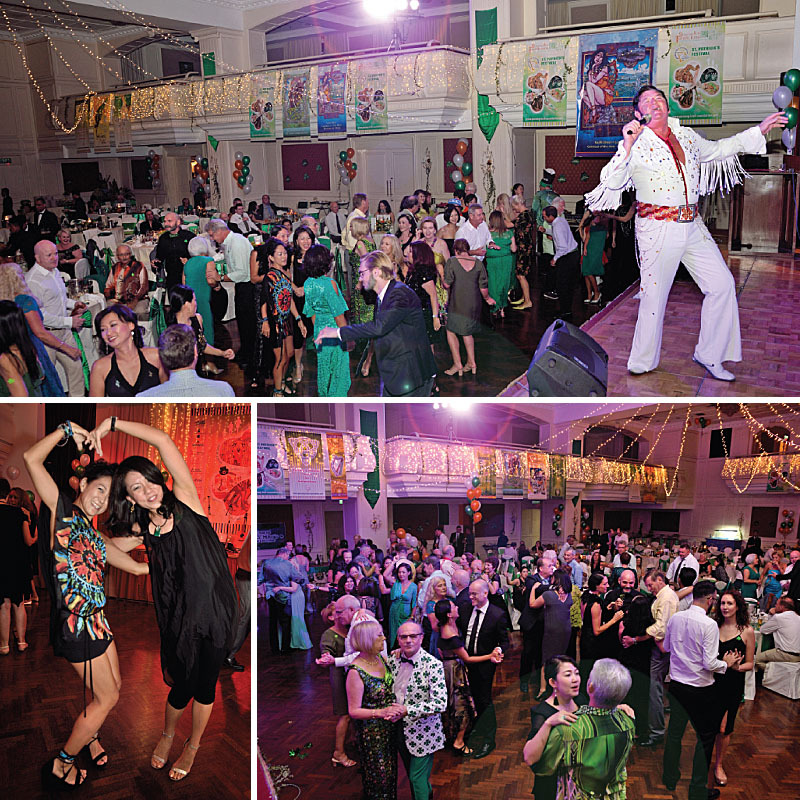 All Ireland Irish Dancing Champion, Saoirse Territt, captivated the spellbound audience as she regaled us with her step perfect exhibition dance performance. The ‘Belle of the Ball’ for me was my very precious, beautiful, three-year-old granddaughter, Sophia. 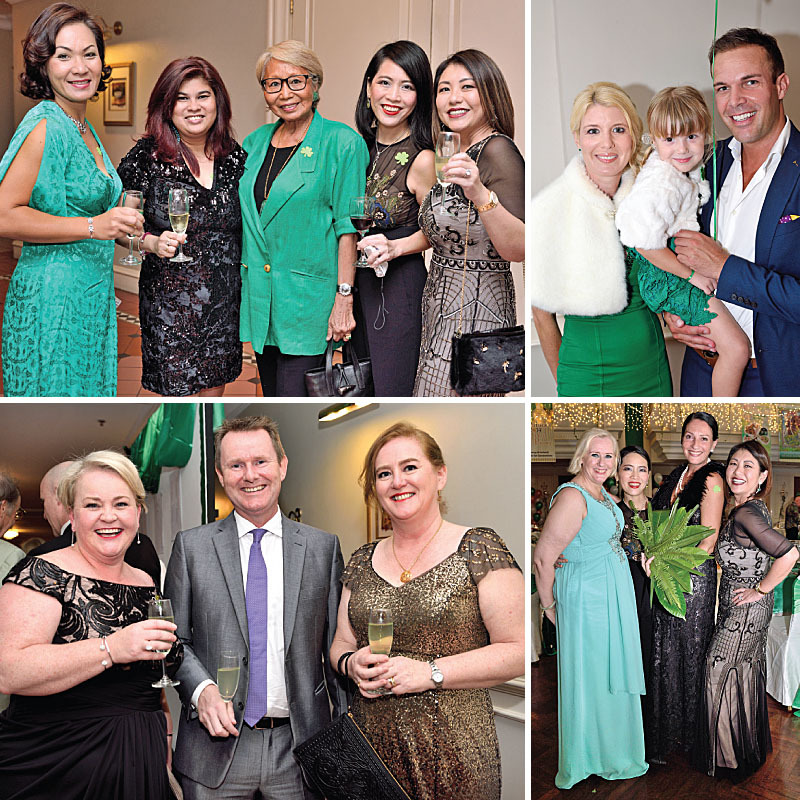 Matching her mum in a pretty green lace dress and white faux fur jacket, she danced with her usual exuberance in the early evening, loving every minute of the celebration – but of course to bed before dinner. 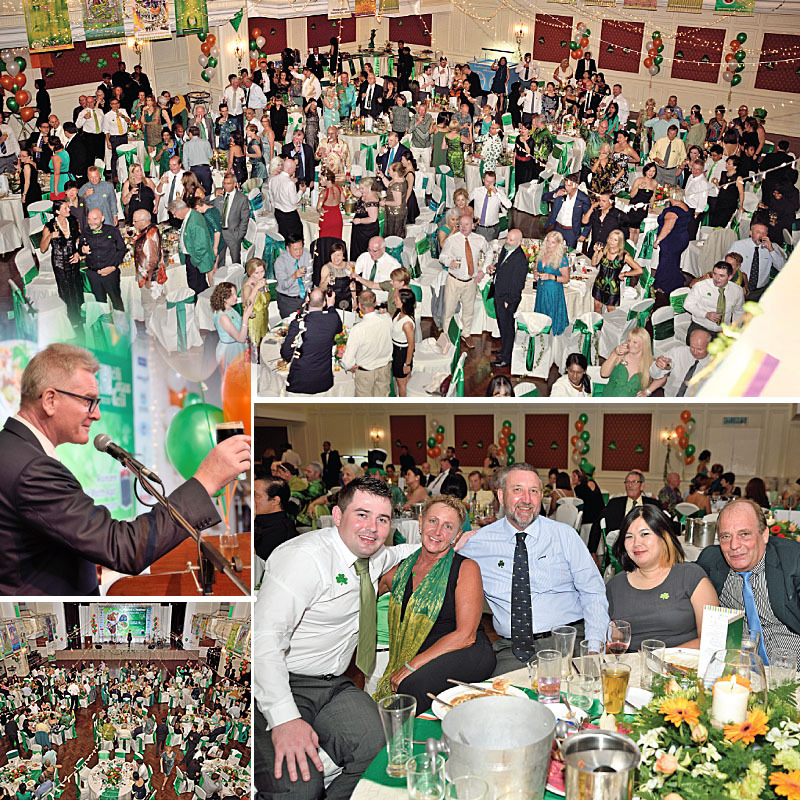 It was obvious she is very proud to be half-Irish! 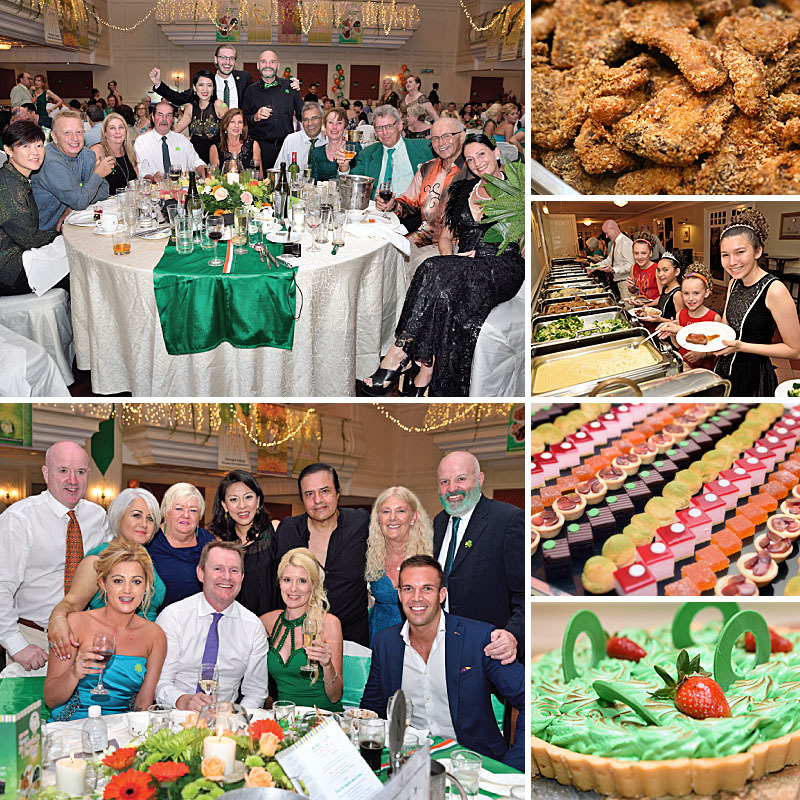 The generosity of many sponsors played a major role in the success of the three-day St. Patrick’s festival. 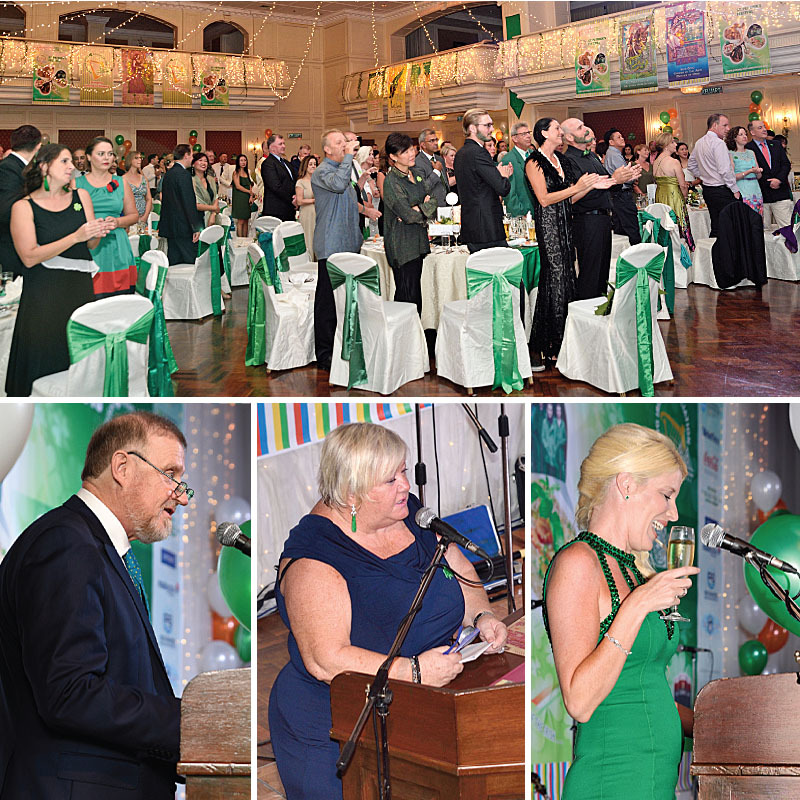 “Go raibh maith agat” (Thank you very much) to the PIA for an unforgettable 2018 St. Patrick’s Gala Ball. 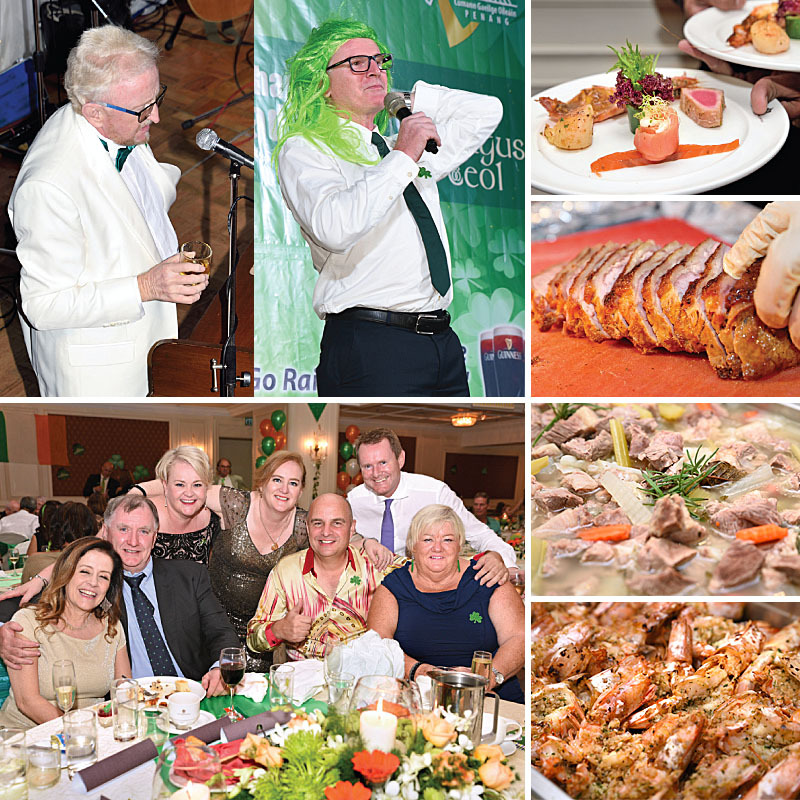 It certainly lived up to my Zambian St. Patrick’s celebration experience and added to my bank of powerful diaspora memories. 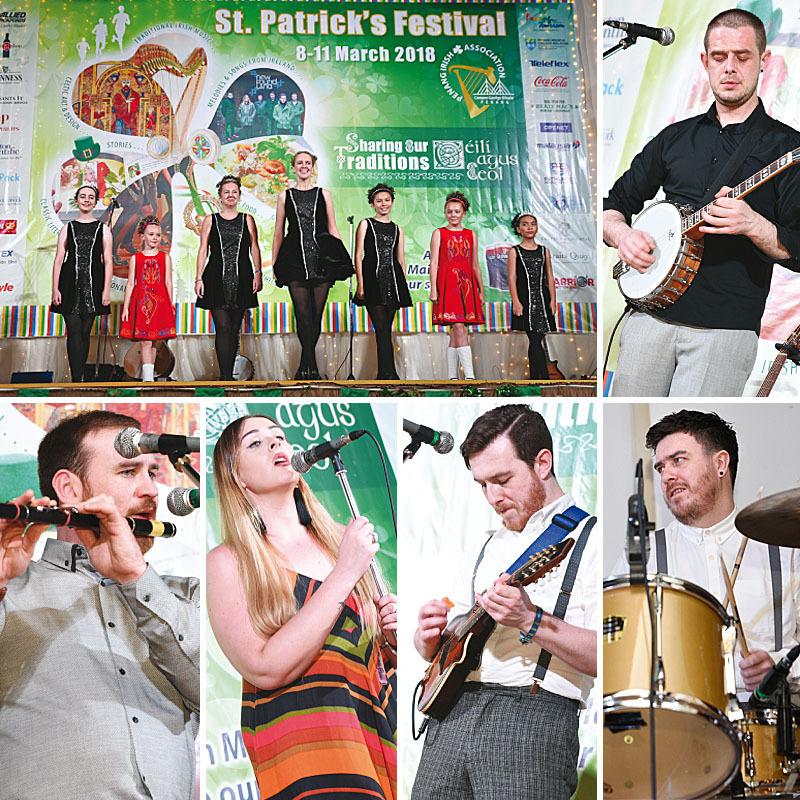 The festival theme, ’Sharing our Traditions, Céilí agus Ceol’, was very much in evidence throughout this amazing event and in true Irish style, the ‘craic’ was mighty!